Have you been to a CRE // Tech event? 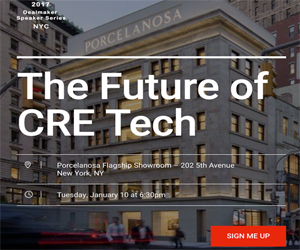 Founded in 2013 by Pierce Neinken, the events produced by CRE // Tech unite today’s forward-looking CRE professionals with technology innovators in a fun, relaxed evening. Onyx Equities has teamed up with CRE // Tech to produce an event called CRE Tech // Austin...and you’re invited! Many notable industry thought leaders and tech entrepreneurs will be speaking at the CRE Tech // Austin event on the dramatic transformation taking place in the CRE tech space. Speakers and panelists are made up of thought leaders who are playing a vital role in the rapid transformation of the entire real estate technology sector. The event is organized to present three case studies about technology use within the commercial real estate industry. Keynote speaker, Jonathan Schultz, co-founder and managing principal of Onyx Equities, will lead each case study after an introduction discussing “the journey, leading change and the value of data.” Panelists include team members from View the Space, HPI Real Estate Services & Investments, RealMassive and Relationship Science (RelSci). Rail Yard and Stream Realty Partners of Austin are co-chairing the event. Learn more about the event here. Register here. Find news about Onyx Equities here. Find news about CRE // Tech here. The News Funnel is a proud marketing partner of CRE // Tech.